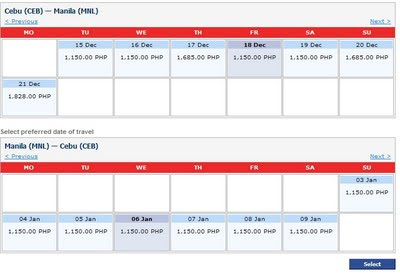 How to Book Tickets at Philippine Airlines Website? 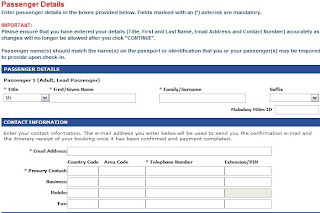 As promised from the previous article, here is the step-by-step procedure on how to book tickets at Philippine Airlines’ (PAL) official website at www.philippineairlines.com. On the homepage of their website, you can see the form below. Fill up the necessary information then proceed to the next step by clicking the search button. 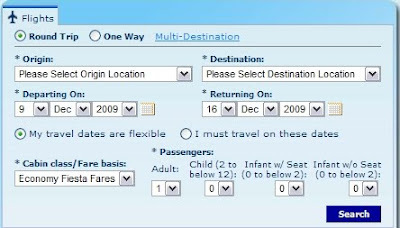 Immediately after clicking the search button, the website will take you to the page in which you will choose what specific date and time you will need to fly. Take note that prices of ticket varies depending on the day and time of the flight. You will see the form below. After selecting the day and time of the flight, you may now proceed to the next step. The next page will show you the summary of your flight details. Click the agreement box located at the bottom of the page to proceed to the next step. At this page, it will ask you the passenger details. Those with asterisk are REQUIRED to proceed. At the button of the same page, it will ask you to choose what type of payment you want. It only provides two: SmatMoney/Credit/Debit Card or BancNet ATMs. For more details on these options, visit their website. Pressing the “continue” button at the previous step will take you to the page where you will supply the payment information. Again, those with asterisks (*) are required to continue. Click the “purchase” button to continue. Pressing the "purchase" button will take you to the validation page of the card that you use. Again, it will validate your identity by requiring you to supply some card and personal information. 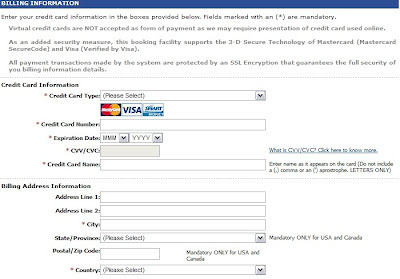 After this step, you will be generated a confirmation number. The same page can also be printed and may serve as a ticket to enter the airport. Aside from this, an email will be sent to your email address and it can also be used as a gate pass to the airport. This concludes the step-by-step procedure in booking your ticket at www.philippineairlines.com. Have a safe and comfortable flight!